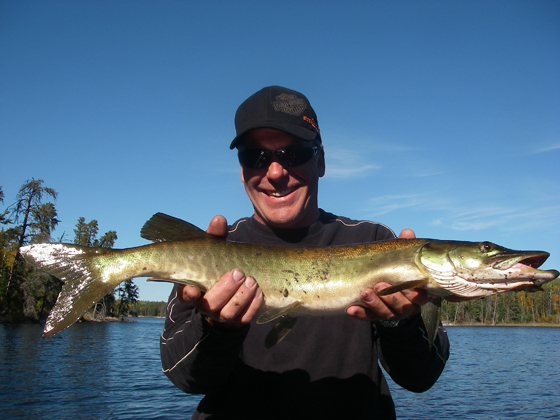 Interested in flying out for a fun filled day of Muskie fishing?? 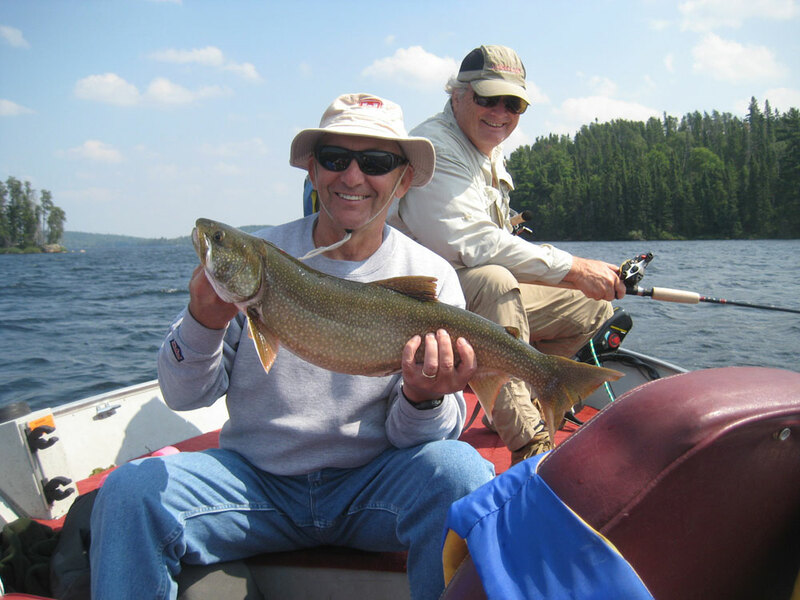 Fly by float aircraft to our own private lake where you and two of your friends will be guided by your pilot on a Muskie only lake. Just think, catching up to forty Muskie in your boat, using only ultra light fishing rods. 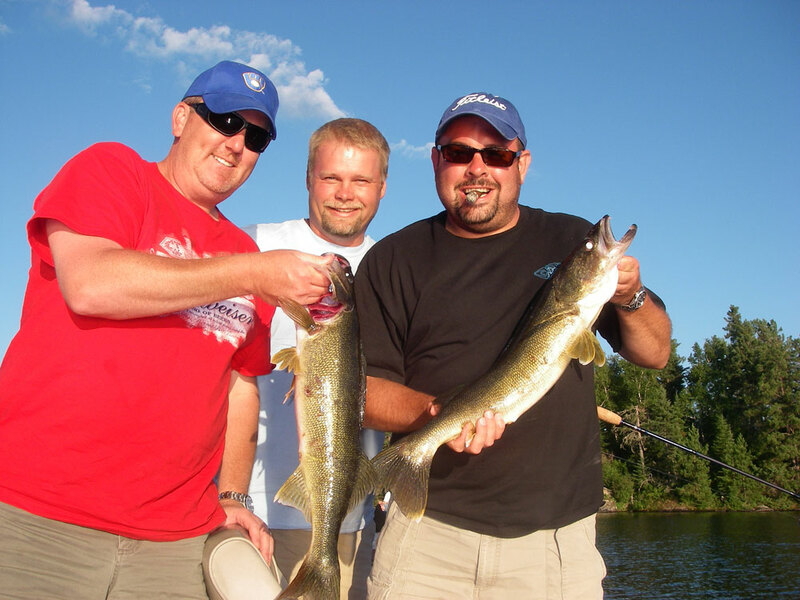 It's a dream fishing trip, that's well within your reach. 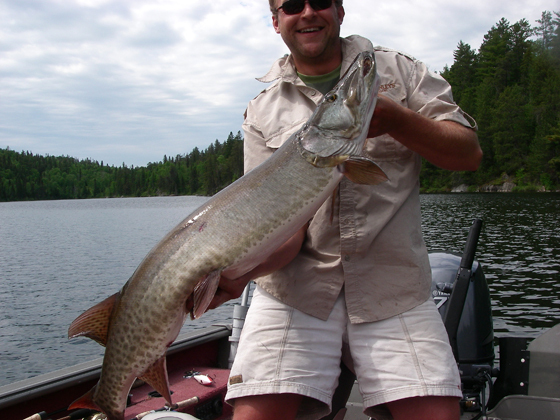 The average size Muskie is 26-28 inches, but it is all Muskie!!!! 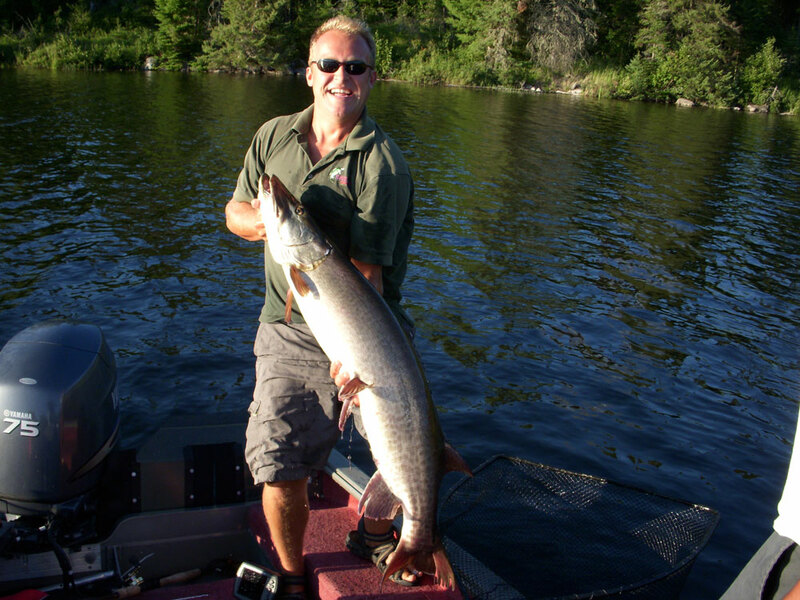 The ultra-light rod makes the fight spectacular. 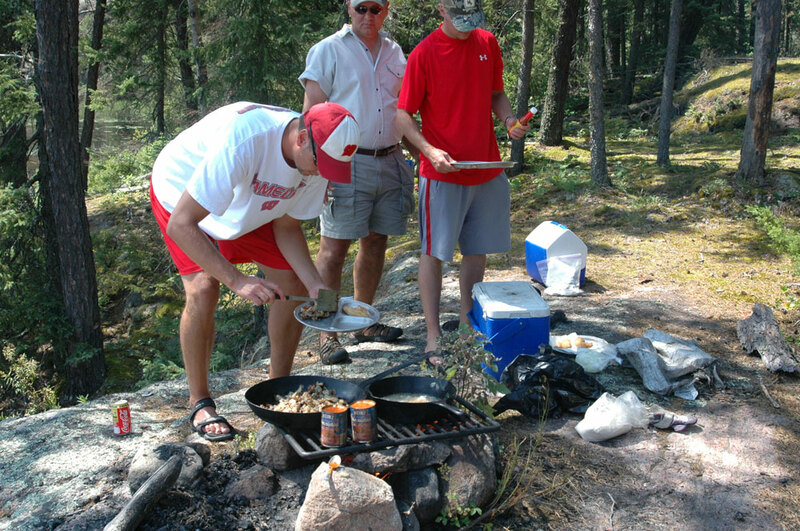 This trip has only limited availability so inquire early. 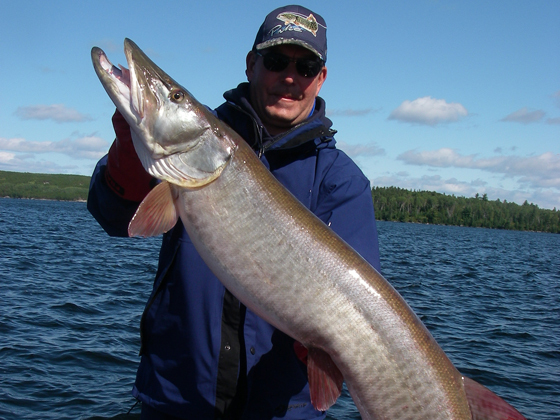 Eagle Lake is renowned for its trophy Muskie. 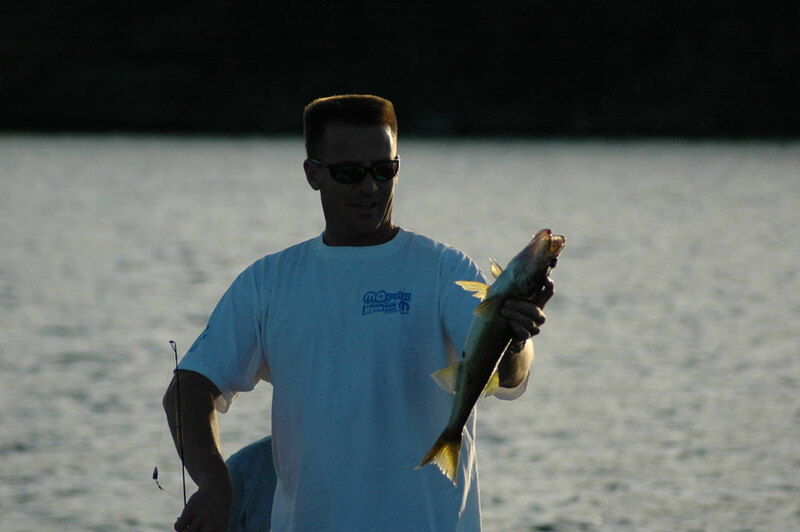 The west arm offers a variety of structure from deep drop-off to shallow weedy bays. 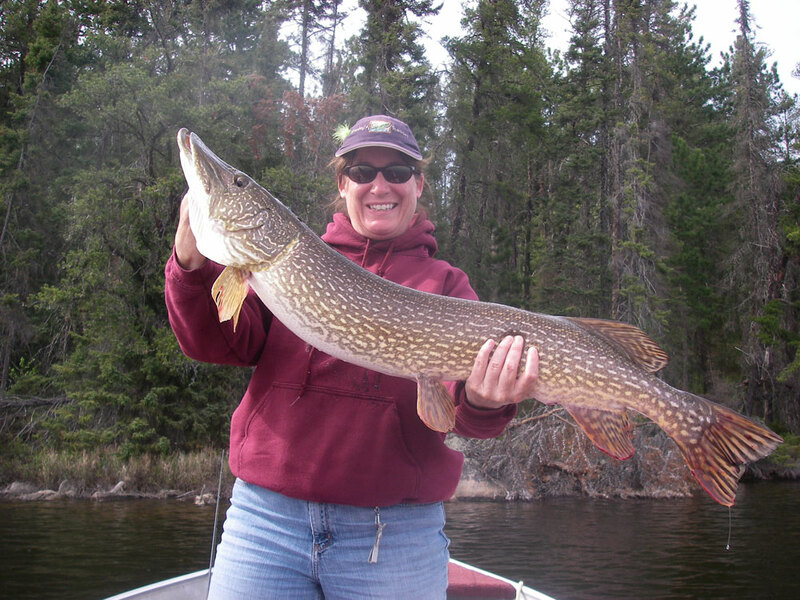 With trophy fish being caught every year, at all times of the season, you never know when that big one will hit. 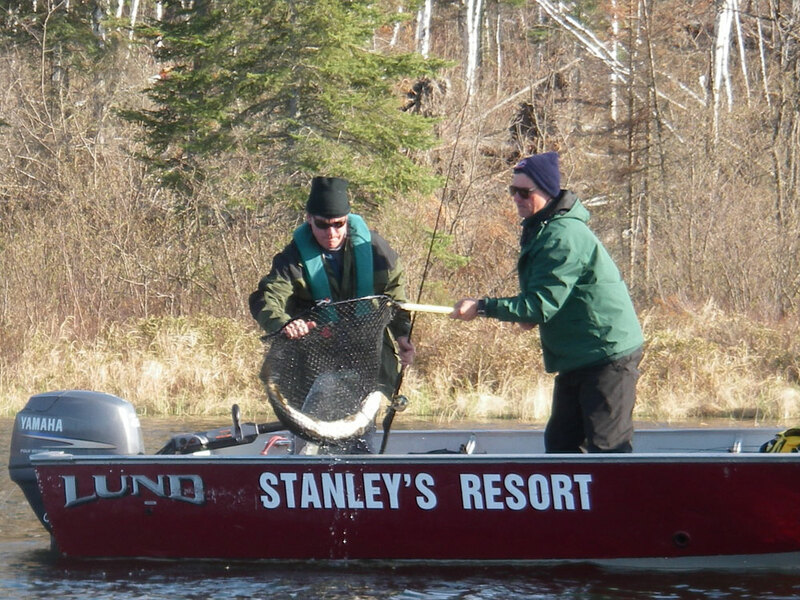 Stanley's offers packages for summer Muskie as well as late into October without late season specials. You choose the time, we'll be ready for you.